Journey to a dark and twisted future with SILVER THE HEDGEHOG! 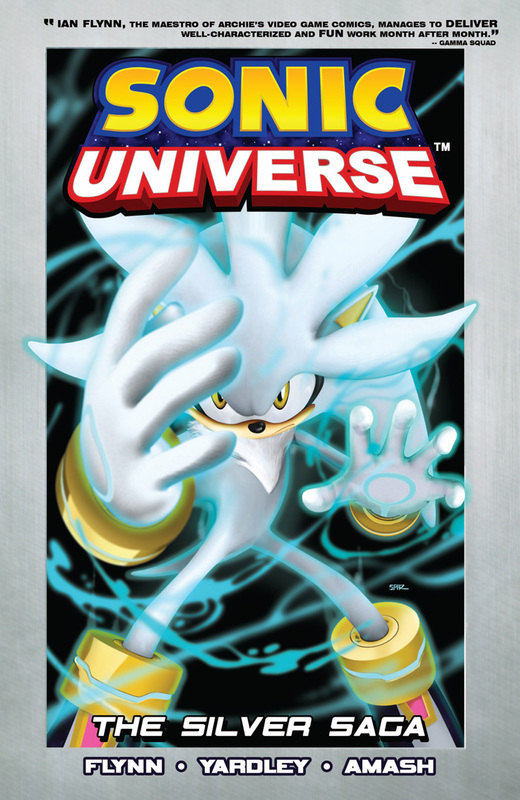 The popular Sonic Graphic Novel series returns with SONIC UNIVERSE 7: SILVER SAGA. Silver the Hedgehog lives in a world of ruin, and he’s been traveling to the past, trying to change the fate of his time. But he’s not prepared when a strange new force travels both space and time to attack him! Silver must journey to a twisted version of his world, join the last handful of rebels, and overthrow the most powerful foe he’s ever encountered. Silver’s psychic power is pushed to its limit against the chaos-fueled fury of a demi-god! The Silver Saga collects Sonic Universe #25-28. Features a special silver ink-enhanced cover!